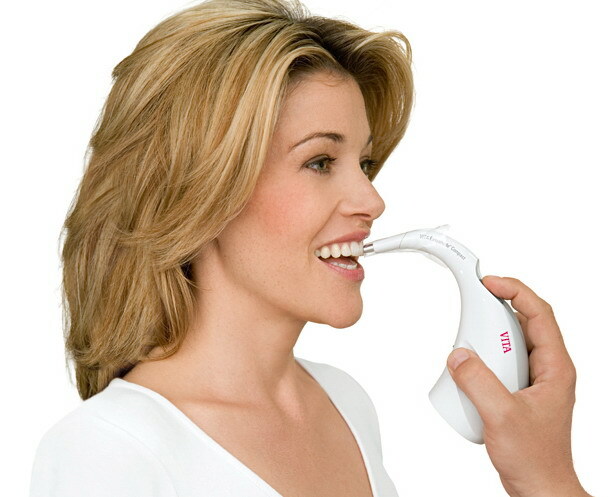 EasyShade™ is a shade matching system which can analyze the visual appearance of teeth. With the use of this advanced technology, patients will no longer have to worry that one of their crowns, veneers or replacement restorations will not match the rest of their natural teeth. The once subjective process of utilizing shade tabs held next to a tooth to determine the desired color has been replaced with a highly effective and precise method known as digital shade taking. 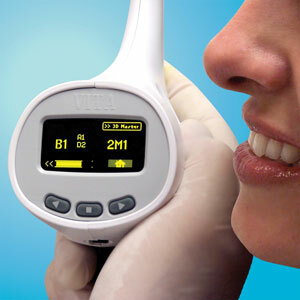 With Easyshade™, the hand held digital shade taking device is placed next to the tooth, and the system measures, maps and records the essential parameters of the tooth color of the patient. Digital shade matching technology is revolutionary in that dental laboratory technicians can now apply these shade measurements to existing porcelain formulas and achieve accurate results based on the information supplied. Once received by the laboratory, the shade file is processed by reciprocal software on the laboratory end, which defines the specific porcelain blends needed to realize the desired shade in the ultimate restoration. In other words, much of the guesswork inherently involved in shade matching for indirect dental restorations has been eliminated through the controls introduced by these products.